James Dyson, the inventor of the 'bagless vacuum cleaner', is now the richest man in the United Kingdom. Dyson recently made the decision to move his companies Headquarters from the United Kingdom to Singapore; which he claimed: "had nothing to do with Brexit". He was criticised for his decision on moving the company. The decision is apparently to make the company "future proof" and look for "bigger opportunities" within Asia. Yet, the company has stressed they will still be investing money into their UK Bases. Jim Rowan, the Chief Executive of Dyson, said that they'd be investing £200m in new buildings and testing facilities in Hullavington as well as investing £33m to young undergraduates at its university. Late in 1974, James had invented a new project, a wheelbarrow with a large plastic wheel, which has now caught on today, visible in most modern-day wheelbarrows, to increase manoeuvrability. 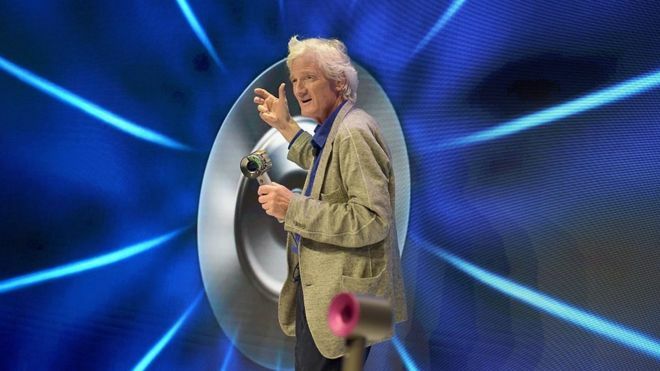 This resulted in this product becoming a commercial success, but with success came downfall - Mr Dyson had then lost control to investors, resulting in the product being sold against his wishes. Then, by the early 1980s, he had a working prototype on his bagless vacuum cleaner, when developing the product, he took out millions of pounds in loans with his bank, resulting in him owing millions upon millions of pounds to his bank, "The bank got pretty nervous at times, but they stood by me" he said. After some fail starts, the product was launched in the UK in 1993, resulting in it becoming the biggest selling vacuum cleaner in the United Kingdom. Do you own a Dyson hoover? What do you think about the decision to move the company Headquarters overseas? Let us know in the comments below!